Upgrading to a newer iPhone? This is where a backup can help you! It will keep all your important data saved to a safe location like your computer. And whenever you need that backup, you can just restore them anytime. But do you know how to restore iPhone without iTunes or iCloud? It will be best for you to do it without iTunes or iCloud as well. As the quality of iTunes has taken a fall and now it is losing data during the transfer. And iCloud, as we all know, is cursed with severe space restrictions. Thus using a third-party option is the best for you. Since Apple launched their range of products over a decade ago they also launched iTunes and iCloud apps to support the users. The apps were very helpful at that time. To be honest, I also used it myself. But if a company does not upgrade an app or even maintain it then the app will lose all its importance and support from the users. The same thing happened to iTunes and iCloud app. The first victim was the iTunes app. It takes a serious amount of time performing any task and a lot of glitches have completely ruined the app. And when it comes to backup with iTunes, it is a whole or nothing process. It backups your whole iPhone and you can only get access to that backup, if and only if you restore it again. Now, if you come to iCloud, its performance is still better than iTunes. 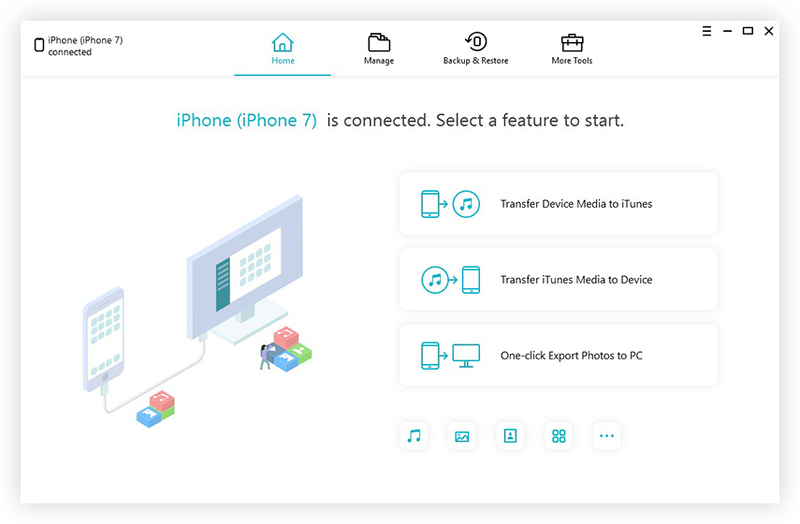 It had a lot potential and there were a lot of followers of the app, even though the PC version was very slow and a few of the procedures were very old, still, people were using the app for backup. But suddenly the app started losing files during data transfer. The backup and restore procedure is somewhat similar to iTunes. We all know iCloud has storage restrictions and it comes with only 5GB of free storage initially. This is the reason users including me are willing to backup iPhone to computer without iTunes or iCloud. Download the program on your computer. Then, install and run iCareFone. Now, connect your iPhone and computer together with a USB cable. Then, tap on the prompted message on the iPhone to establish the connection. 5. After that click on “Backup and Restore” on the main window. 6. On the next window, all of the file types will be selected by default but you can customize them. 7. After choosing the required files you need to click on the “Backup” button to start the process. Performance is far better than iCloud or iTunes, as it is faster than both. No Wi-Fi needed to back up your iOS device. Selective backup and restore unlike in iTunes/iCloud. No chance of data loss. The first steps of the procedure are the same as the previous one. Go to “Backup and Restore”. 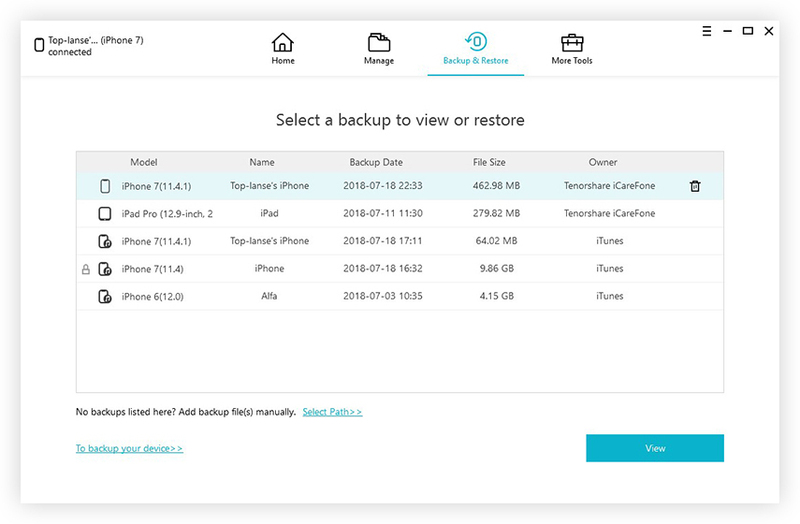 Now, click on “To View or Restore previous backup files”, and all of the backup files will be visible to you. Now, choose a backup and proceed. Then, choose the files you want to be restored. 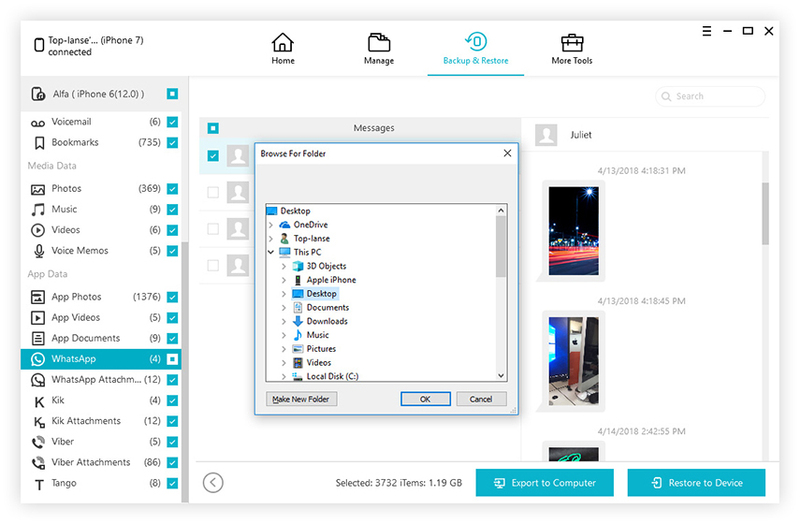 You need to select if you want them to export the files to your device or extract them on your computer. 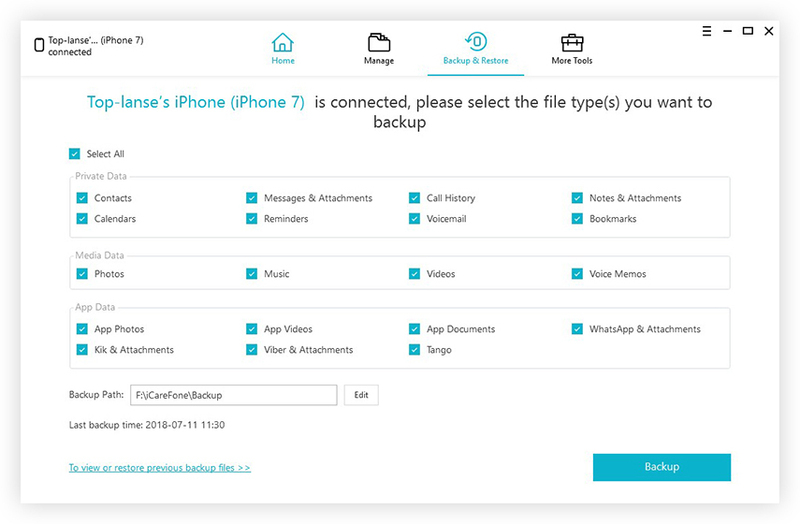 A lot of dedicated iOS users are asking for how to backup iPhone without iCloud or even iTunes and it is due to the poor performance of those apps over the years. Unfortunately, the situation has escalated so much that people are trying out new third-party apps. In the end, I believe it’s good! We can all agree that you can use a worthy third-party app and get your job done even better. But one thing for sure, if you are using Tenorshare iCareFone then you are not wasting your time, this software is worth trying. I am using it for a very long time, and I can say it is the best tool to backup and restore period!